On the heels of last Saturday’s 61-59 road upset of No. 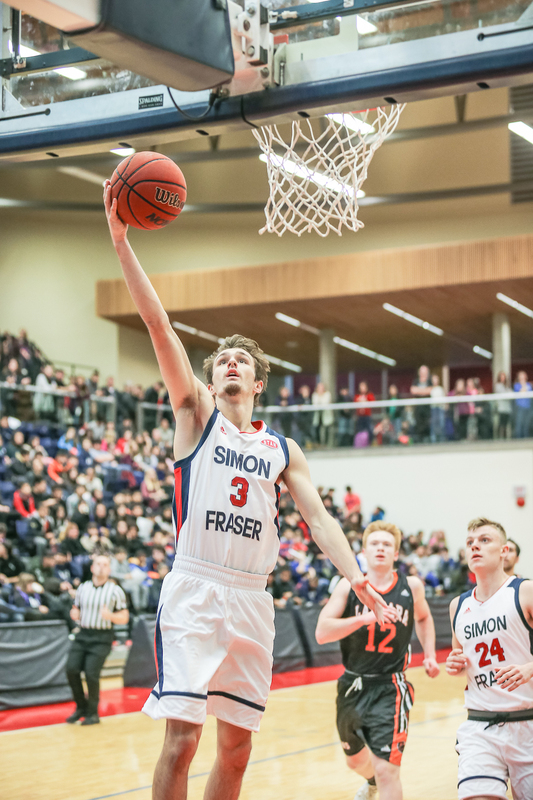 13-ranked St. Martin’s, the Clan (5-8) returned to the top of Burnaby Mountain on Thursday and continued to make program history, this time knocking off a second-straight nationally-ranked team in as many games following its 78-77 win over No. 24 Northwest Nazarene. 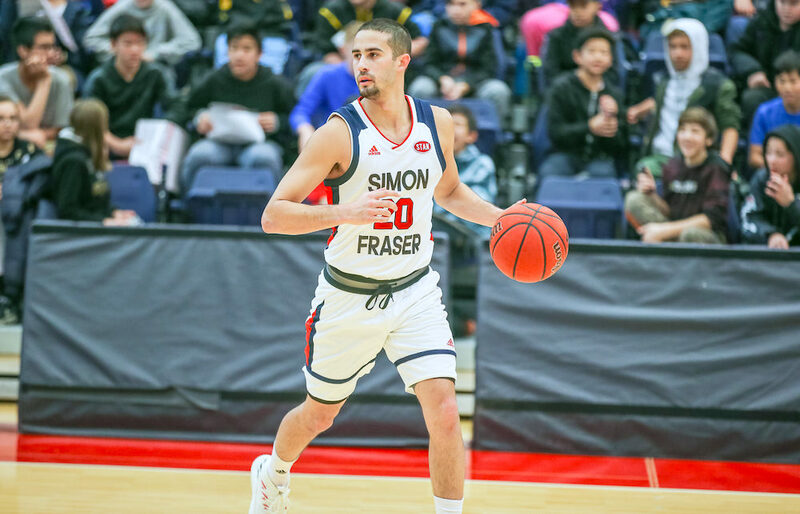 With four wins over their last six conference games, and with a tough act to follow this Saturday (7 p.m.) at home to rival Central Washington (3-10) looming, Provenzano, the 6-foot junior from London, Ont., talked with VarsityLetters.ca in the Thursday post-game about the collective DNA which has been revealed through the Clan’s most productive stretch of play since leaving U Sports for the NCAA Div. 2 ranks. Varsity Letters: Describe the energy your team has created with a program first in its NCAA era: Back-to-back wins over nationally-ranked opposition? VL: You’ve grown up with this team and there have been some painful stretches, but what are the cornerstones which have helped you and your teammates maintain their confidence? MP: Well, it’s tough when you have young teams. It’s tough when you haven’t got a lot of guys who have been through the grind of the season before. It’s tough when you have a lot of guys who haven’t necessarily had a ton of winning success. But I think this year, something we’re finding out is that we’ve got a lot of dogs. Especially in our young guys. We got dogs. And by that I mean guys who know how to grind out wins, guy who want to win, guys who when we lose games are back in the gym. It’s shown as of late in the way we’ve battled in practice, it’s shown in the way we’ve handled losses, and it’s shown in the way we’ve handled victories. Obviously talent is a huge factor and I think we’re getting more and more talented every year, and we’re playing better and better together. But at the end of the day, coach always talks about that dog mentality. I think we have it now more than ever. VL: Speaking of that fighting mentality, it was entertaining to see you lock horns at both end of the floor (Thursday against Northwest Nazarene’s) Obi Megwa. What was that battle like for you? 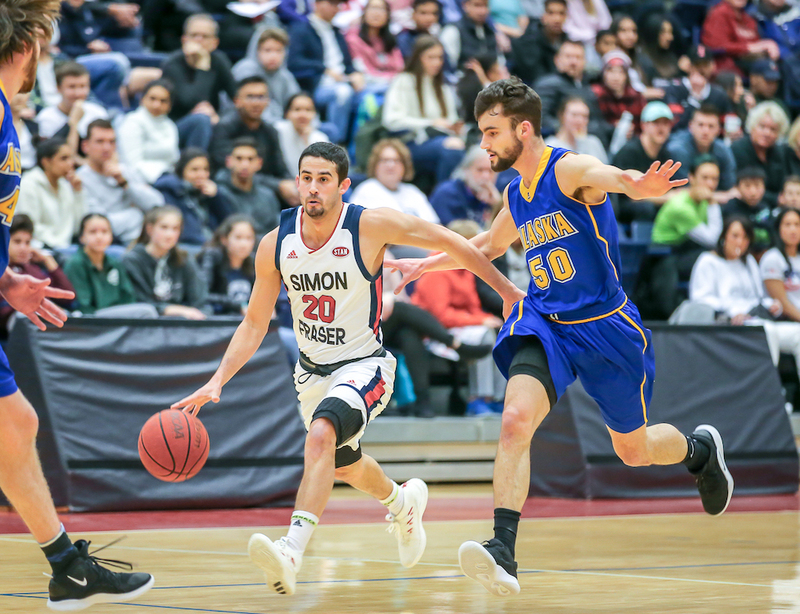 VL: Julian Roche and Jasdeep Singh, your team’s two big men, were big (a combined 11-of-17 for 31 points and 12 rebounds with just three turnovers in 65 combined player minutes Thursday). What have these two first-year Clan players given the team? MP: They have been so huge, both of them shooting the ball, both of them in the post. Julian, he had big bucket versus St. Martin’s to win it for us. They have both been an X-factor on the glass, especially offensive rebounds. Jas and Julian both created a lot of second-chance opportunities which we scored on and helped us pull ahead, both last Saturday and tonight. 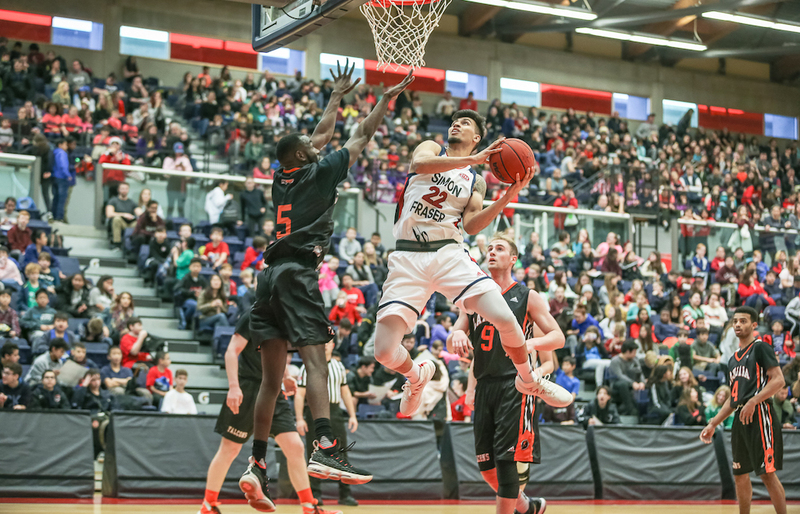 MP: Michael Hannan (six points, eight rebounds, two steals, one turnover in 36 minutes Thursday) is someone who 100 per cent deserves to be mentioned because he plays with more heart than anyone I’ve ever played with. I mean that guy is a warrior and it’s made a huge difference in creating second-chance points, and opportunities to run down another 30 (-second shot clock). You get the offensive rebound, run down the shot clock again, and then score… it’s like a dagger in the heart of the other team. VL: Central Washington is here Saturday (7 p.m.) What will matter most for your team? MP: Well, these are two of the biggest wins (St. Martins, Northwest Nazarene) of my university career, but in any big win or any bad loss, you can’t get too high or low. It will be good to celebrate what we did tonight and how we pulled out two big wins, but we can’t get too high because we’ve got a lot more business to take care of. We’ll enjoy tonight and then show up tomorrow and it’s going to be a clean slate because we have to get one on Saturday, too. We’re going to go on a three-game win streak and we’re going to make the playoffs.